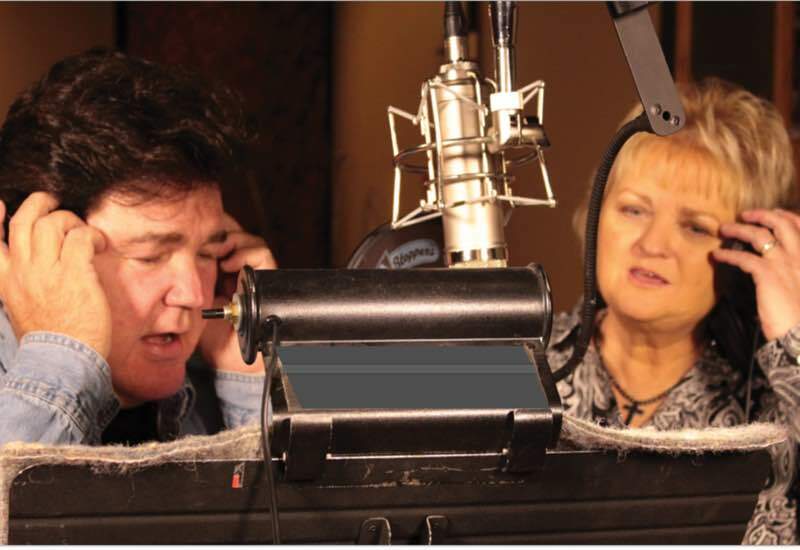 Lorraine Jordan & Carolina Road, along with Marty Raybon, just released the latest video for “Darned if I Don’t, Danged if I Do,” exclusively on Country Rebel. The song was made famous by Raybon’s band Shenandoah, upon its initial release. The track is featured on Lorraine Jordan & Carolina Road’s latest album, Country Grass, which also includes collaborations with Crystal Gayle, Lee Greenwood, The Kentucky Headhunters, John Conlee, Eddy Raven and T.G. Sheppard, in addition to the late Jim Ed Brown and Lynn Anderson. I’ve always been a fan of Marty Raybon, so working with him has been a dream come true. I hope fans enjoy listening to it as much as we enjoyed recording it – Lorraine Jordan. Recently celebrating its 20th Anniversary, “Darned if I Don’t, Danged if I Do” was originally released in 1995. The Grammy-nominated song, written by Ronnie Dunn and Dean Dillion was re-recorded, this time with a new toe-tapping bluegrass flavour. The song originally peaked at No. 4 on the Billboard Country Songs chart. Nov 10-11 Mountain View, Ark. – Mountain View Bluegrass Association Inc.
Hard work has paid off for this award-winning bluegrass band. Having a dynamic show has earned them over 100 performances each year throughout North America at more than 60 major festivals. Carolina Road plays worldwide and hosts a national bluegrass festival, Christmas in the Smokies. They have hosted the Canadian Bluegrass Awards, toured Europe, and played 15 bluegrass cruises. Carolina Road’s performance is a traditional sound with a fresh approach, which includes invigorating instrumentals, smooth blending vocals, and all the energy that you can stand. Lorraine likes to think of the band as a family, and her band members have longevity in the band. Ben Greene (banjo/vocals) “2015 Banjo Player of the Year” has been with Carolina Road for 11 years. Josh Goforth (fiddle/guitar/vocals), has also been with them for 11 years, and is a Master Fiddle Player. He was a 2009 Grammy award finalist for the CD “Cuttin Loose”. Tommy Long (guitar/lead vocals) has been with the band for 4 years. His outstanding lead vocals and driving rhythm guitar playing helps propel the band. Also, Jason Moore, much sought after bass player, will be touring with the band, and dobro player, Brad Hudson, who was a featured artist at the world-famous Country Tonight’s in Pigeon Forge, Tenneessee, and at the Legends Theater, in Halifax, North Carolina. Rural Rhythm Records has announced the release of the music video for the title track of their God Didn’t Choose Sides album. Released on February 12th of this year, God Didn’t Choose Sides contains Civil War true stores about real people who focus on the common men and women who were thrown together into the realities and horrors of war and displayed amazing acts of kindness, selflessness, faith, love and brotherhood to their fellow Americans. There have been hundreds of books, movies and songs created about the battles, presidents, generals & heroes as told in our history books about the Civil War. However, rarely do we hear the stories on a personal level of the unsung heroes who gave their lives or had their lives totally turned upside down or adversely changed during the War Between the States which has had such an important impact on our American culture and historical foundation – album project executive producer, Sam Passamano, II. Marty Raybon is featured on the title track, written by Mark Brinkman and Paula Breedlove, which tells of an incident following a day long battle when the armies on both sides laid down their weapons to witness a baptism in the river that separated them. “Since this story is so unique and compelling we wanted to bring the element of a short movie feeling to this music video. We were fortunate to use many of the same Civil War re-enactors from the 1st East Tennessee Battery and the 79th New York organizations that were present for the special God Didn’t Choose Sides concert event at Lincoln Memorial University back on February 22nd,” stated Sammy Passamano, III, music video director. A companion music video is being edited by Passamano, III and will be available shortly for the song from the album titled “There Is A Fountain”, performed by The Gap Creek Quartet (Dale Ann Bradley, Steve Gulley, Don Gulley and Vic Graves). In the story of the title track, “There Is A Fountain” was the song that was sung by the soldiers during the baptism depicted in the music video “God Didn’t Choose Sides”. This year marks Raybon’s 40th year as an Entertainer. Grammy, CMA, ACM Awards with Shenandoah have been a part of Raybon’s celebrated 40 years. The celebration recently continued when Raybon won his first IBMA award, “Recorded Gospel Song of the Year” for “Beulah Land” during the 24th IBMA Awards Show which took place on September 26th in Raleigh, North Carolina. This song is off his “Southern Roots & Branches” album released in April 2012. It also contains his first #1 song on the Bluegrass Unlimited chart, “Dirt Road Heartache”, which hit #1 in June this year. In addition, his current album, released in March of this year, “The Back Forty”, contains the single “That Janie Baker” which moved up the Bluegrass Unlimited chart at #18 this month. The single also reached #3 on the Sirius XM Bluegrass Junction Most-Played Tracks in May and #3 on the Bluegrass Today Monthly Airplay Chart in June. Another song, “Slowly (I’m Falling)”, also from “The Back Forty” was #3 on Sirius XM Bluegrass Junction Most-Played Tracks and the album was #6 on the Sirius XM Bluegrass Junction Most-Played Albums September charts. Rural Rhythm Records has announced that Marty Raybon has won 4 Christian Gospel Music (CGM) Fan Awards including “Favorite Song” for I’ve Seen What He Can Do, “Favorite Male Vocalist”, “Favorite Musician” and “Favorite Crossover Artist” at the 4th annual CGM Fan Awards show presented by Christian Voice Magazine. The Awards were announced during the 2013 CGM Fan Award show at the Smoky Mountain Convention Center in Pigeon Forge, TN on 27th April this year. I’ve been so blessed this year starting out with a new CD ‘The Back Forty’. One of the four awards at the CGM Christian Voice Awards Show Saturday night, Song of the Year, “I’ve Seen What He Can Do”, going back to back 2012 and 2013…the Male Vocalist, Crossover Artist and Musician of the Year. A person could not ask for a better way of celebrating 40 years in music, God’s goodness, priceless… Marty Raybon. This makes back-to-back wins in the CGM “Favorite Song” category. Marty won the 2012 “Favorite Song” award for I’m Working On A Building which also featured Jimmy Fortune, Trace Adkins and T. Graham Brown. Both the 2012 and 2013 “Favorite Songs” are from Marty’s 2012 Rural Rhythm Christian release Hand To The Plow produced by Mark Carman. Also in 2012, Marty won the CGM Fan Award for “Favorite Soloist”. A third song, You Get Me also, from the Hand To The Plow album, is currently at #2 on the Christian Voice Magazine Country Gospel Chart for April 2013. Marty has received numerous Grammy, CMA, ACM & IBMA awards and nominations during his impressive 40 year career. 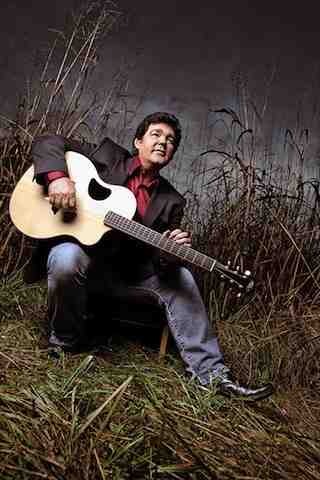 For more about Marty Raybon visit his website at MartyRaybon.com or visit RuralRhythm.com to learn more about his previous Rural Rhythm albums Southern Roots and Branches, Hand To The Plow and The Back Forty. 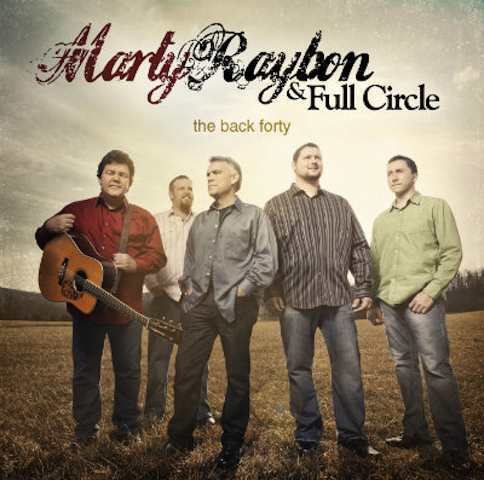 Marty Raybon is now on tour with his group “Full Circle” in support of his new Rural Rhythm Records album The Back Forty. Watch for upcoming plans to commemorate Marty’s 40 years as an entertainer. Rural Rhythm Records has announced Marty Raybon and Full Circle’s new bluegrass album The Back Forty will be released on Tuesday, 26th March. This highly anticipated new album is now available for pre-order at Amazon and Rural Rhythm Records and will also be available at iTunes, GooglePay and many more fine retail outlets. The Back Forty sees a return to Marty’s Bluegrass music roots with his signature vocals and tight harmonies provided by his band Full Circle. The band includes Tim Raybon, Chris Wade, Zach Rambo, with special guests Tim Crouch, Daniel Grindstaff, John Bradley, Aaron Ramsey, Scott Napier and Tim Laughlin. The exciting new project also helps celebrate Marty’s 40 Years of Entertaining fans worldwide. The album contains five new songs co-written by Marty including the new barn burner single “That Janie Baker” by Marty Raybon and John Fountain which has received rave reviews. The single is now out to radio and available at AirPlayDirect.com. “That Janie Baker” is one of those songs you find yourself singing along with, even before you know the words – Terry Herd of Bluegrass Today and Bluegrass Radio Network. This album features a 15 song CD plus over 60 minutes of DVD and extra features including bonus performances, artist’s interviews and photo gallery. Hosted by Mike Scott with performances by: Dale Ann Bradley, Steve Gulley, Marty Raybon, Audie Blaylock, Cumberland River, Common Strings, Debbie Gulley, Don Gulley, Brad Gulley, Mike & Brend Scott, and students from the Cumberland River Academy and more. Stage musicians included: Jason Burleson (Banjo/Guitar); Clint Hurd (Mandolin); Brandon Godman (Fiddle); Vic Graves (Dobro); Bryan Turner (Bass); and John Bradley (Bass). From conception to production to execution, it’s hard to imagine a better bluegrass Christmas experience than what’s offered in Christmas The Mountain Way. Mark it essential – The Bluegrass Special. If you’re in the mood for some good, down-home bluegrass Christmas music, you should give this album a chance. I’ll keep it in the holiday shuffle on my CD player. Another plus — the album has introduced me to the breathtaking vocals of Brad Gulley. For that alone, I give thanks – Parchbench. Of particular note is the banjo playing of Jason Burleson and the fiddle playing of Brandon Godman. Dale Ann and Steve Gulley perform Christmas the Mountain Way that they wrote together and Brad Gulley gives an inspired performance of O Holy Night. Marty Raybon affirms his faith with his original song, A Way in the Manger – California Bluegrass Association. A well done CD of Christmas music here that goes far above the average generic Christmas album. I recommend this to everybody this Christmas season – Hudson Valley Bluegrass Assoc. 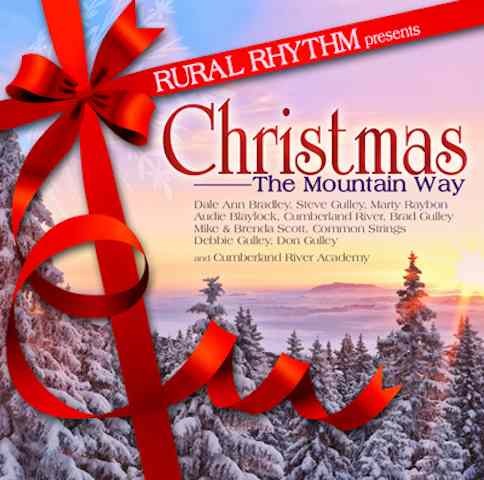 Nothing sets the heart’s yule log burning like a cup of hot cocoa and the warmth of the Bluegrass Christmas tunes on Rural Rhythm Records CD/DVD Christmas The Mountain Way. Some of the best voices blending cheerily together in perfect harmony with awesome picking is sure to put you in a nostalgic mood for Christmas. The rememberances of past holidays with a glad heart to making new memories with family and friends is captured with new joy. It’s Christmas and the mountain message we remember, was simply Love – Gracie Muldoon, WorldwideBluegrass.com. 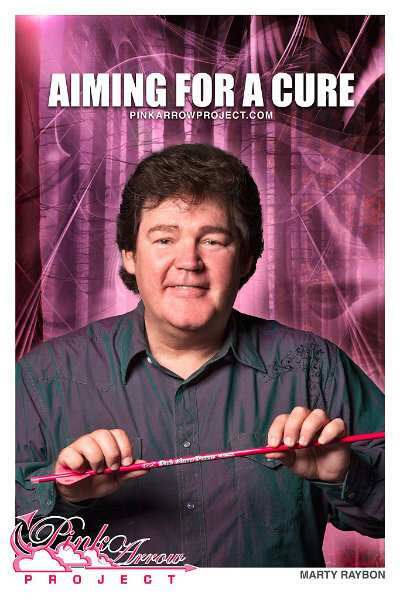 Mary J. Hale, Founder and CEO of the Pink Arrow Project has announced that Marty Raybon has joined the organization to help raise awareness to the project. “The sure way of knowing of one’s gratefulness is to see someone who has not only confronted death, but also one who has taken on a battle for the cure that brought them to the brink. Mary Hale’s vision of giving back was originated after her bout with Cancer. The Pink Arrow Project is the concept of awareness and a quest to prevent and find the cure. I am proudly standing with the Pink Arrow Project and aiming to do all I can to help this vision and gratefulness. Join with us. Pull the string back and let it fly,” said Marty Raybon, former lead singer of the Country Music Super Group Shenandoah. Marty Raybon is celebrating four 2012 album releases including “Southern Roots & Branches” and “Hand to the Plow” along with another Rural Rhythm Records’ CD/DVD release titled “Christmas: The Mountain Way” that includes the talents of Dale Ann Bradley, Steve Gulley, Cumberland River, Common Strings and more. Marty also released “Working On A Building” on New Haven Records and is joined on the title track by Trace Adkins, T. Graham Brown and Jimmy Fortune. “Award-winning vocalist Carrie Hassler and award-winning duo The Roys have recently joined the Pink Arrow Project to help spread the word to music fans that otherwise might not have known about our campaigns and line of Pink products. We are beyond thrilled to have Marty Raybon on board and certainly appreciate the support of these talented artists – Mary J. Hale. For more information on the project, please visit PinkArrowProject.com, Facebook and Twitter. For more information on Marty Raybon, please visit www.martyraybon.com. The International Country Gospel Music Association (ICGMA) held their 56th Annual Convention and Gold Cross Awards Show this past weekend in historic West Plains, Missouri where it was announced Marty Raybon is the recipient of the 2012 ICGMA Bluegrass Artist of the Year Award. The bluegrass category included an impressive list of nominees including: Doyle Lawson, State of Grace, Eddie Gordon and Marty’s label-mate, brother-sister duo The Roys. The ICGMA is the oldest Country Gospel Music Organization in America. Marty’s current Bluegrass single, “Dirt Road Heartache,” from the album Southern Roots & Branches (Yesterday & Today), is currently the #1 song on the Bluegrass Today Top 20 Monthly Airplay Chart for August 2012. The song is also #11 on the Bluegrass Music Profiles Magazine Top 30 Hot Singles chart and made its debut this month on the Bluegrass Unlimited Magazine Top 30 Songs chart. Marty’s cross over success this year has been just incredible as he is also receiving critical acclaim and chart action for his Country Christian album, Hand To The Plow released on Rural Rhythm Christian. The album made its debut at #16 on Billboard’s Country Christian Album chart and continues to race up a variety of other charts. “I’ve Seen What He Can Do” is not only on this month’s Christian Voice Magazine Country Gospel Top 100 and Southern Gospel Top 100, but also appears on two Power Source Magazine charts – Inspirational Country Top 100 and even the Bluegrass Top 35 Songs. The song hit #1 on the Christian Music Weekly Top 10 Country Chart in March. “Working On A Building,” also from Hand To The Plow, includes the talents of Trace Adkins, Jimmy Fortune, and T. Graham Brown. The song was #1 on the Christian Voice Magazine Country Gospel Top 100 (May), #1 on the Cashbox Magazine Christian Country Top 20 (May), and appeared on the New Music Weekly Country Top 40 chart (March). Marty was the featured artist on the recent Rural Rhythm TV production, Behind The Dreamon BlueHighways TV and on the label’s upcoming Christmas The Mountain Way show with Audie Blaylock, Steve Gulley, Dale Ann Bradley, Cumberland River, Common Strings and more airing later this year on BlueHighways TV. He can also be seen on the Bluegrass Comes To The Valley TV Special which is a part of Reno’s Old Time Music Festival airing on RFD-TV next month. The Inspirational Country Music Awards (ICM) top 10 finalists were announced today and Marty Raybon has been nominated in the Inspirational Bluegrass Artist category. After winning the Pioneer Award by the ICM in 2005, Marty has continued his success with many hit songs, successful tours and TV appearances. The ICMs are dedicated to honoring and showcasing artists who perform Christian and Inspirational Country music inspired by Faith, Family and Country. Rural Rhythm Records advises that Marty is currently receiving critical acclaim and chart success with several new albums and chart songs. “Southern Roots and Branches (Yesterday & Today)” on Rural Rhythm Records includes the new single, “Dirt Road Heartache” currently the #1 bluegrass song on the Bluegrass Today Top Airplay Chart. 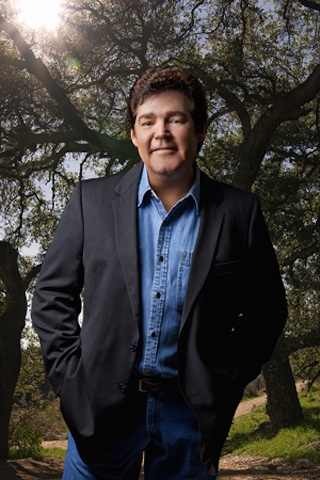 “Hand To The Plow” recently released on the Rural Rhythm Christian label, includes several extremely popular tracks including: “Working On A Building” with Trace Adkins, Jimmy Fortune, and T. Graham Brown, plus this chart single, “I’ve Seen What He Can Do” that was also released as a music video. Marty has produced a remarkable list of career accomplishments during his impressive career including: 15 #1 singles, CMA, ACM, CGM and Grammy Awards and collectively sold well into the millions. Not only is Marty currently on tour performing at numerous festivals, fairs, churches and concert venues, but he can also be seen on many TV shows as well. He has three Rural Rhythm Records TV produced shows including his “Behind The Dream” feature on BlueHighways TV, “Bluegrass Comes To The Valley” TV Special which is a part of “Reno’s Old Time Music Festival” airing this September on RFD-TV, and the upcoming “Christmas The Mountain Way” airing later this year on BlueHighways TV. Marty also made several other recent TV appearances including the “Praise The Lord” show (TBN) where he performed “Working On A Building” with show host Jason Crabb, Jimmy Fortune, T. Graham Brown, and Buddy Jewell. The 18th Annual ICM Faith, Family & Country Awards Show will be held 18th Oct., 2012 at the Schermerhorn Symphony Center in Nashville, TN. The organization’s next round of balloting begins soon. More details can be found at www.ICM-Awards.com and www.ccma.cc. For more information on Marty Raybon including upcoming tour dates, music and news, please visit MartyRaybon.com. For more information on Rural Rhythm, please visit RuralRhythm.com and RuralRhythmChristian.com. Rural Rhythm Records has announced the release of Marty Raybon’s latest album Southern Roots and Branches. Award winning artist Marty Raybon’s album contains classics from his previous solo albums, new original songs and an acoustic version of Shenandoah’s big hit I Want To Be Loved Like That. Marty Raybon has achieved a remarkable list of accomplishments in his musical career. These include no less than 15 #1 singles, CMA, ACM and Grammy Awards and he has collectively sold well into the millions. Marty’s soulful country vocals with the band Shenandoah were developed many years ago when he performed Bluegrass and Gospel music with his family. Southern Roots & Branches will take you on a fun musical journey from Marty Raybon’s storied past to the present as a popular headliner. This album contains two new original songs Big Pain and the new barn burner single Dirt Road Heartache. Other songs one the album include classic Bluegrass songs; Down The Road , Rocky Road Blues , Home Run Man . White House Blues , Prayer Bells Of Heaven and more acoustic versions of Shenandoah hits like Next To You, Next To Me , Ghost In This House and fan favorite Beulah Land. Produced by Marty Raybon, Southern Roots & Branches will surely delight Bluegrass, classic country and Shenandoah fans with this 12 song collection of favorites and new hits. Marty Raybon also has another release on Rural Rhythm, Hand To The Plow, a Country Christian album that includes the beautiful new hit single I’ve Seen What He Can Do.